Tagged under Key (Studio), J.C. Staff, Games, Series. A much better non-KyoAni adaptation of a Key title over Angel Beats! hands down and LB! has better characters and story overall. However, the dub cast is horrible and full of miscast roles, so just stick to the Japanese language version. Rin Natsume is my favorite female character as she has the best character development. Yuiko Kurugaya is my second favorite female character of the series, she has an awesome character design and personality. The only arc I hated was Kud's, hers was forced melodrama (Kud is too overrated a character anyway and I find her annoying). Kengo surprised me the most in his character development for the male characters and Riki was great too in his development. 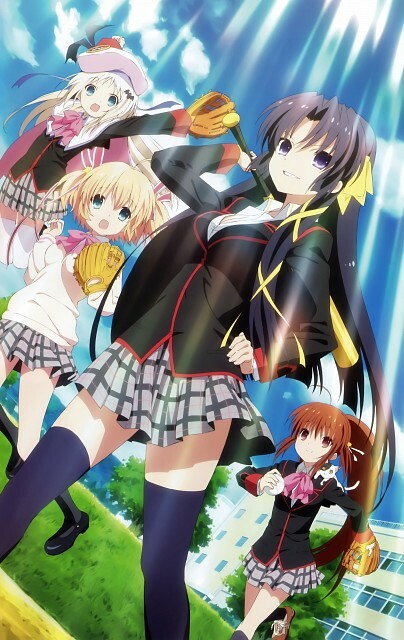 Overall, I enjoyed the series' strong message of friendship and how the Little Busters formed a familial bond with each other. EX is really good and I love Saya's character, her character has a really cool storyline and she's really cute. The romance between Saya and Riki was so sweet. I wish the EX series was longer though and that Sasami and Kanata had a couple more episodes for each of them to equal what Saya received. 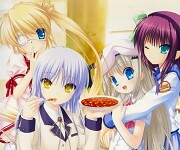 I don't care about Kud Wafter though and won't watch that one.